Here’s the story of another car nerd complaining about the squandered potential of the American automakers. Because despite drool-worthy concept cars and badges that still hold weight, Ford and GM luxury spinoffs consistently fall short. This idea was reinforced when Fo Mo Co sat me behind the wheel of its Lincoln MKZ for a week and I learned just how the Blue Oval’s success has made it lazy in the luxury department. If I was a product planner, I would make a serious case for a larger budget to fix some key areas. First up would be the platform since Ford has yet to master the art of platform sharing, a craft that’s not as easy to pull off successfully as it initially seems. There’s a huge difference between luxury brands like Porsche, Audi, and Bentley sharing rear drive-oriented bone structures (with Volkswagens themselves having chassis of high integrity) and Ford's habit of simply rebadging a Fusion and charging tens of thousands extra. To differentiate the brand more, a dedicated rear-wheel drive platform is a must. 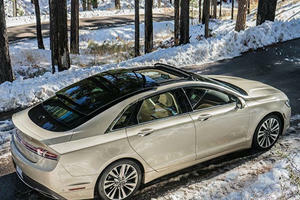 The MKZ and the new Continental, the brand’s first attempt at digging itself out of the hole it currently resides in, are based on the front-wheel drive CD4 platform, which is also used by the Taurus, Explorer, Fusion, and Edge. Luxury customers want to feel special, as if they are part of a club not easily joined by street surfs, so it’s important to make it so that the biggest baddest Lincoln sedan (the Continental) as well as the middle of the pack MKZ are based off of a dedicated luxury platform, ideally one that favors longitudinal mounted engines and power going to the rear wheels by default. Not that we want a sports car (although a modern day Lincoln interpretation of the 1987 Buick Grand National GNX would be pretty cool), but driving dynamics do have a hand in skewing luxury buyers who want more than a soft-riding Fusion with massage seats. This change should coincide with a shift in styling for the brand. 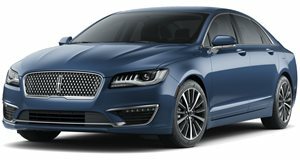 While the new Continental is a good first step in that direction, blending classic Lincoln styling with a modern and bold twist mainly pulled off by the gorgeous grille up front, the MKZ needs more than just a new front end to become a sales phenomenon. The rear end and sides remain polarizing, invoking thoughts of old age homes, walkers, and poor quality buffet foods catering to those with withered taste buds. The two-punch combination of a dedicated platform enabling a better ride as well as new styling would help revive the majority of Lincoln’s pizzaz, but the real difference needs to be made inside the cabin where the majority of the car/owner relationship unfolds. Lincoln didn’t do too bad with the MKZ, but sit inside of any of its German or Japanese competitors and the differences are immediately apparent. The interior feel simply doesn’t have the ergonomics of an Audi A4, the quality of a Lexus IS, or the wow factor of a Mercedes C-Class. An overabundance of buttons that feel as loose and tacky as those in the Ford Fusion add to the clutter while a low roof drastically cuts into the headroom, further cramping an interior that already feels tight with a high center stack. 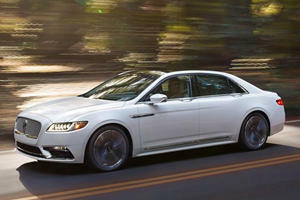 There's no doubt that many of the MKZ’s offenses were made due to an engineering team with serious budget constraints. While the Lincoln Continental and Navigator Concept go to show that Ford’s luxury brand still has a pulse, it is in danger of being cast to the wayside without a Cadillac-like investment into its bloodstream. For now, China is a reliable source of life support but given the natural rate of growth in the industry, the age-old maxim, “if you’re not getting better, you’re getting worse,” rings especially true. Buy a Lincoln. Hire someone else to drive it.